As mentioned in my UK Beauty Haul, I picked it up from Superdrug for £5.99 in sale. 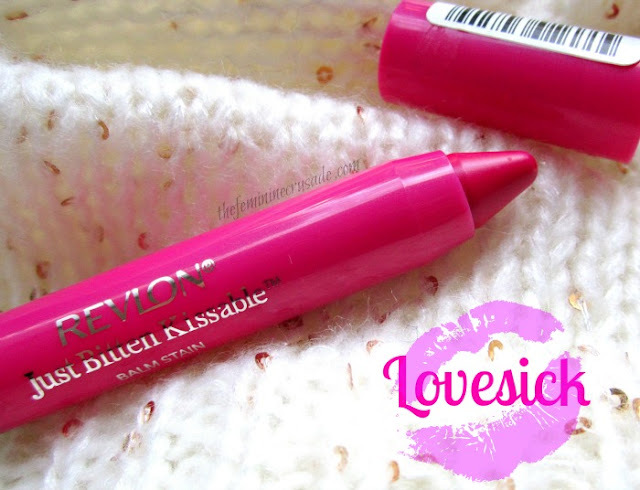 Revlon Just Bitten Kissable Balm Stains are like chubby lip pencils (hint: Clinique Chubby Sticks), with a twist-up formula, that saves the trouble of sharpening such gigantic pencils. They are available in 12 shades out which I purchased Lovesick. 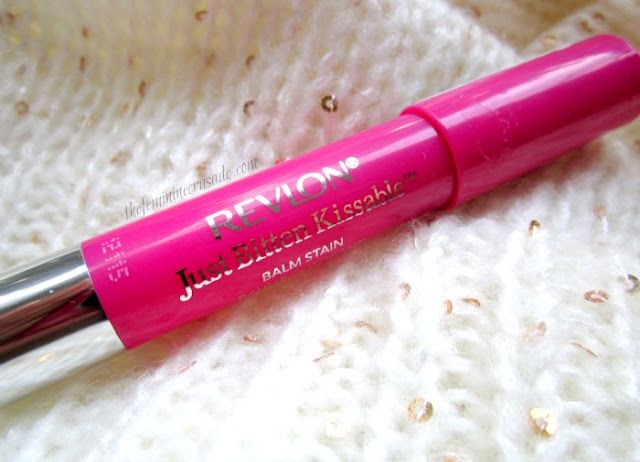 Finally I got my hands on the ever-so-famous Revlon Just Bitten Kissable Balm Stain. And as soon as I got it, I regretted not getting some more colours. I don’t think I even need to go into the whole rant of its awesome packaging, awesome colour or awesome formula; since the whole web is swamped with its reviews. Still, I am a blogger, and I need to do it some justice, right? So here goes what you have already read a thousand times before. The Revlon Just Bitten Kissable Balm Stain comes in a form of a sleek, huge lip pencil with a glossy surface, resembling the shade it is. 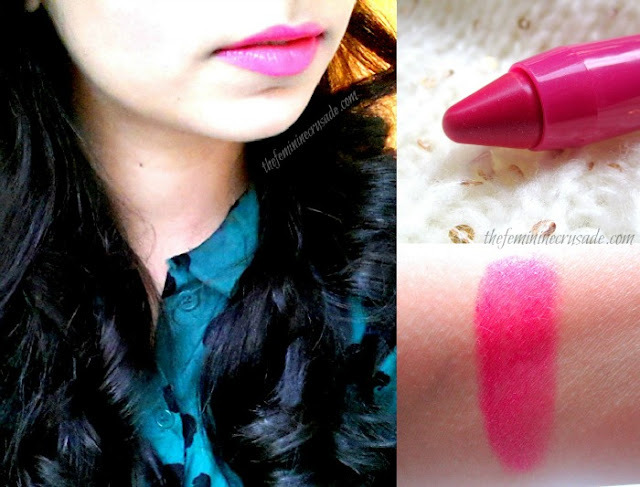 I picked the shade Lovesick which is stunningly gorgeous, cool-toned, bright bubblegum pink. It transfers on to my lips like a buttery smooth, heavily tinted lip balm. It can be applied as a sheer wash of colour or built to an opaque intensity. It is a gel formula so it won’t look like an opaque lipstick. The greatest thing is its formula, it is glossy, pigmented, moisturising and does not emphasize my lines AT ALL. It is not an alternative for a lip balm though, it is only as hydrating as good lipstick should be. It lasted four hours on me then left a pink stain which lasted a few hours more and faded evenly. And know what guys? It smells of MINT. Mmm-hmmm! What?!? You haven’t tried it yet? Get hoarding ladies, these are a keeper!